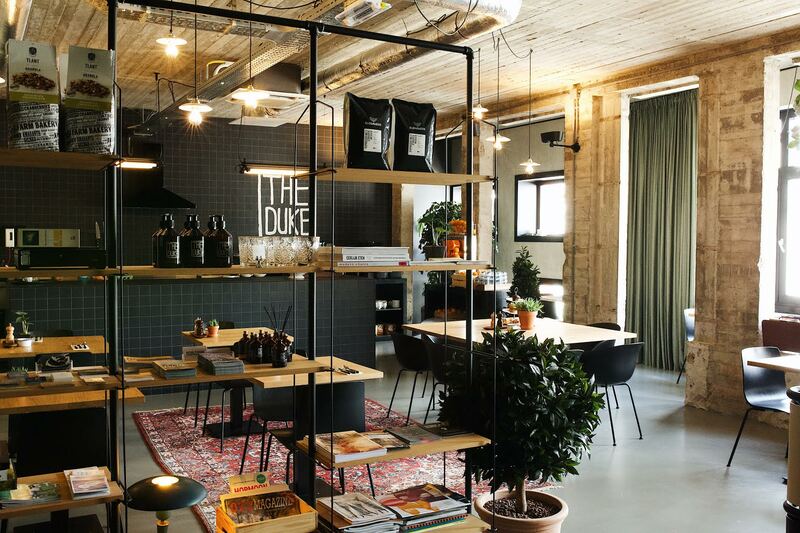 In the charming and gastronomical ‘s Hertogenbosch The Duke was born. A special young man who grew up to be the most beloved city ambassador of it’s time. The Duke is not only familiar with all the details and secrets about the city of ‘s Hertogenbosch, he is also able to share stories about all the beauty the rest of the world has to offer. 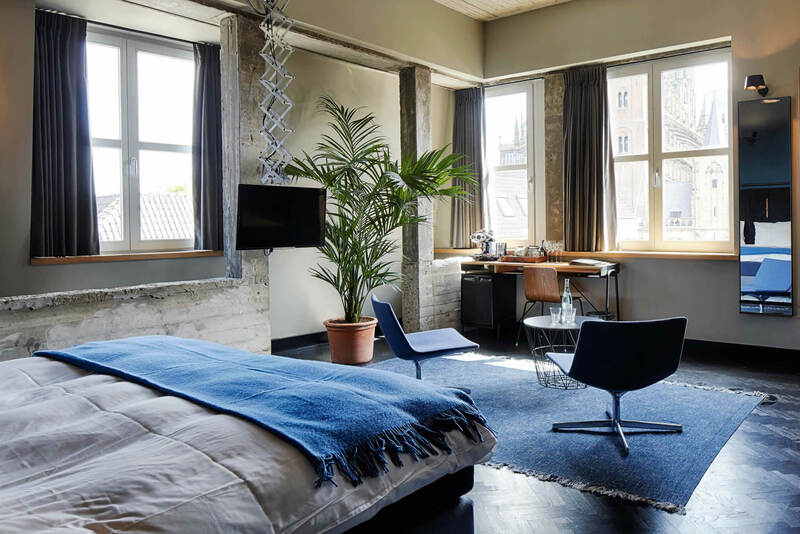 The Duke Hotel is his home and is the result of his quest for unforgettable experiences, his keen eye for even the smallest details, his principles in relation to quality and comfort and his attraction to remarkable people with active lifestyles. 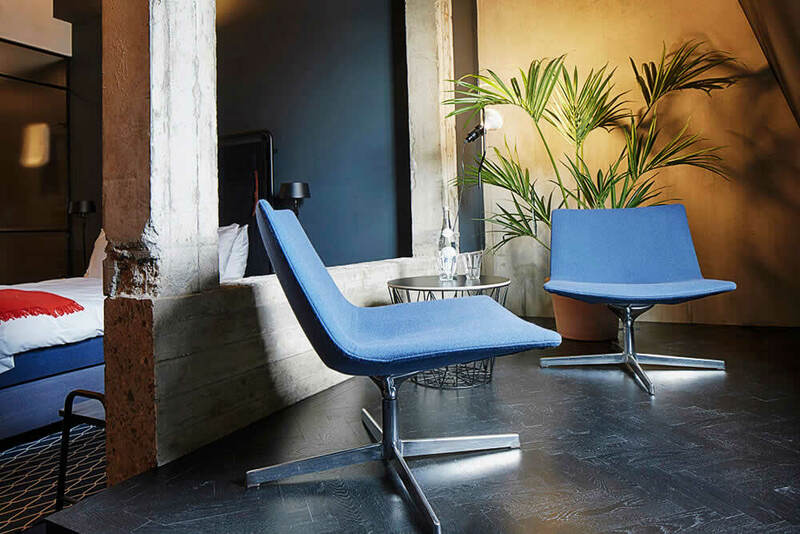 A premium hotel, designed for the sophisticated traveler. That’s The Duke Hotel, a remarkable place for remarkable people. 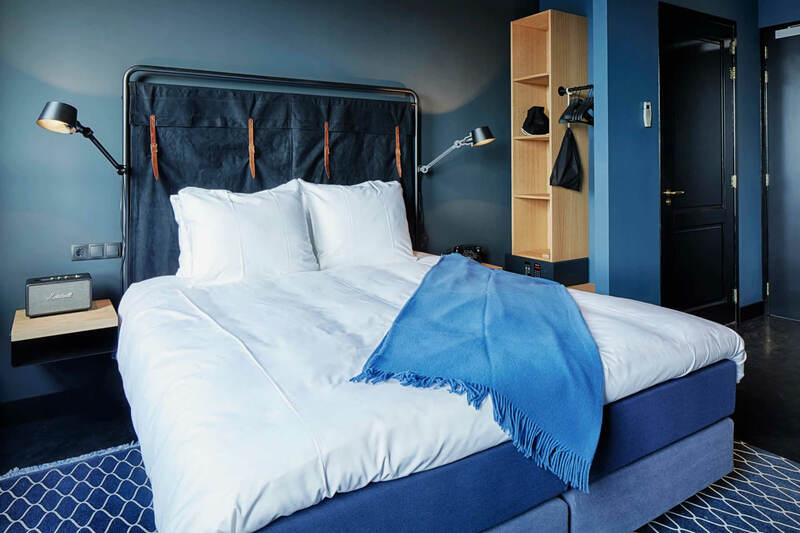 You can find The Duke in the heart of ‘s Hertogenbosch, next to the famous St. Johns Cathedral and right above his favorite restaurant street: the vibrant and nationally acclaimed Korte Putstraat. The hotel holds 17 rooms and multiple suites. 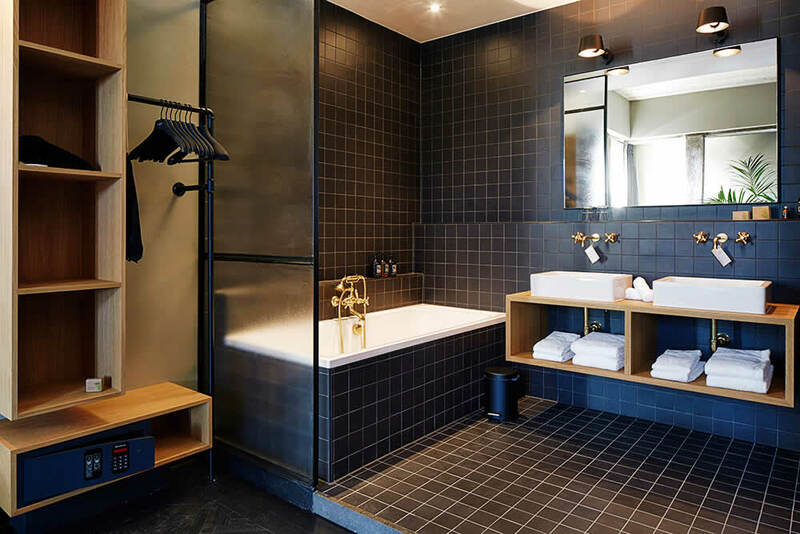 Every hotel room is equipped with a large (210x180) ‘Duke size’ custom made box- spring bed, large walk-in rain shower, separate toilet, an Illy espresso machine, free Netflix, a Marshall speaker and many more of The Dukes favorite designer items. The Duke wants his guests to be the best they can be. 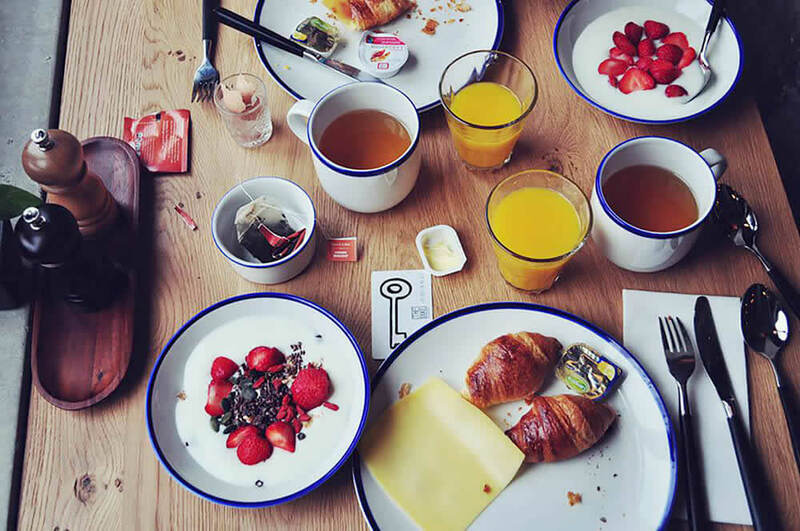 That is why every morning a wholesome healthy breakfast is being served in The living Room, with mostly organic ingredients. 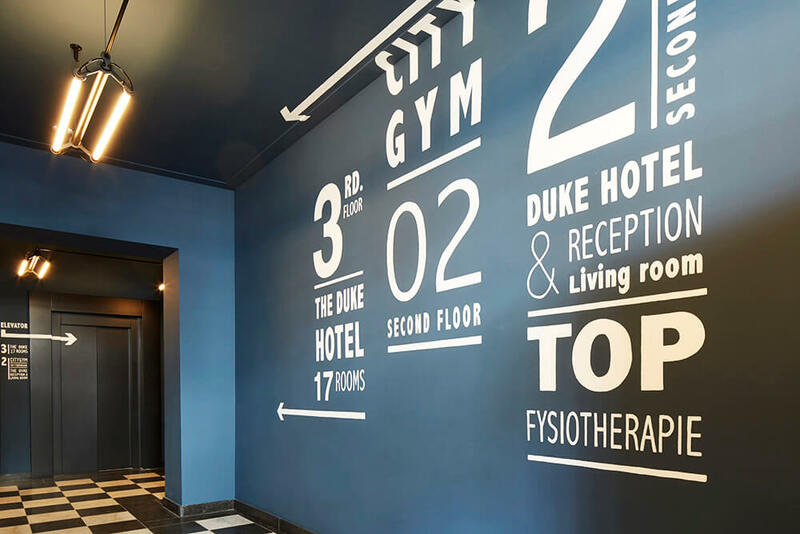 The Duke also offers guests the opportunity to make use of the inhouse and ultra- luxurious Citygym, to work out with the latest Techogym and Milon equipment. For ultimate relaxation you can also visit CityYoga, which can be found within the premises of the hotel, to take part in an innovative Yoga session. The Duke’s own line of cosmetic products are all made with 100% natural ingredients, and so are most of the contents you can find in the minibar. And if you want to explore ‘s Hertogenbosch and it’s surroundings during the day, you just use on of The Dukes city bikes. 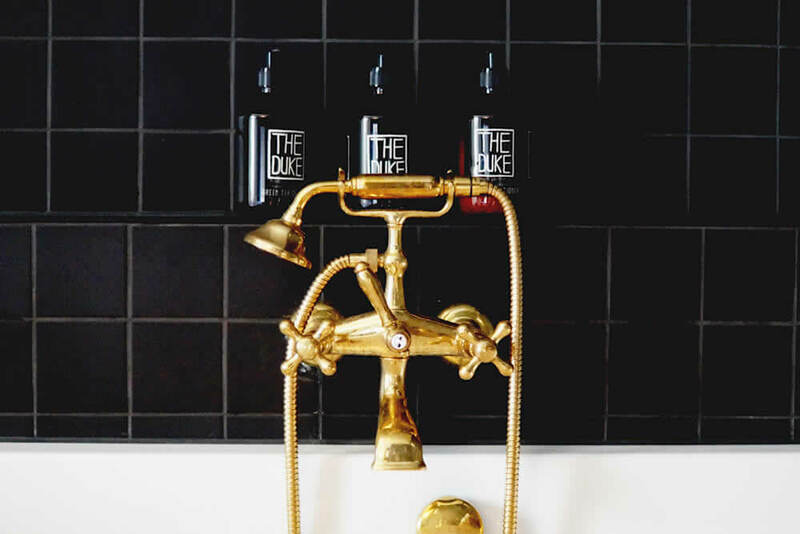 The Duke will happily tell you more about his other concepts like The Duke Boutique apartments and The Duke little brother ‘Little Duke Hotel’. 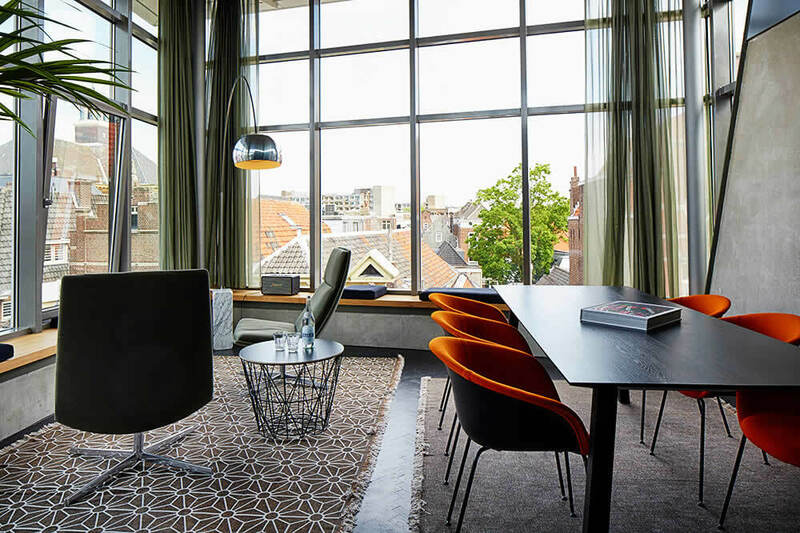 The Duke offers a total of 39 rooms in the city of ‘s Hertogenbosch and can accommodate up to 93 guests. The Duke team consists of locals who all know and love their city like no other. 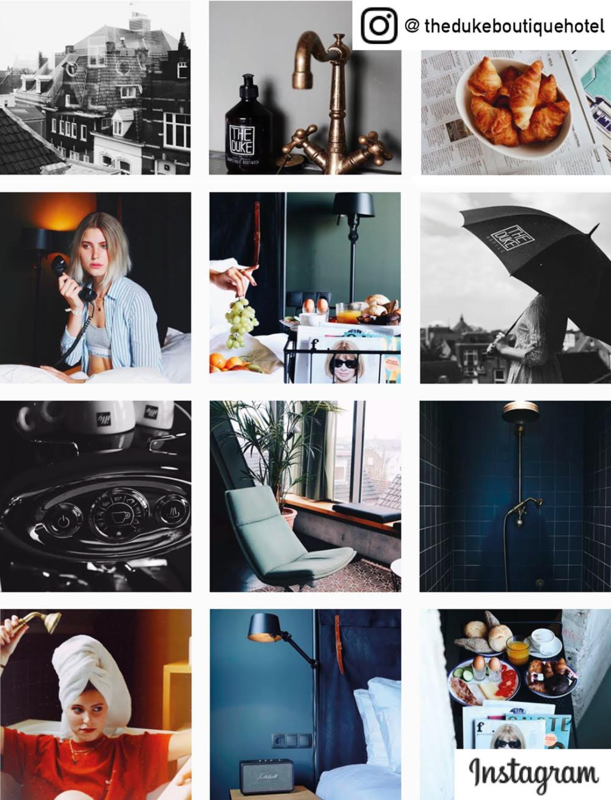 It is their mission to make sure every guest leaves ‘s Hertogenbosch with an unforgettable experience and lasting impression of the city. We always go the extra mile to make sure your stay is as pleasant as possible, so if you have any personal requests or wishes, don’t hesitate to ask. Nothing is impossible for The Duke! The Duke and his team can’t wait to welcome you as a guest and to make your stay an unforgettable experience. For true city lovers we arrange packages with great partners such as restaurants, museums and a boat tour company. 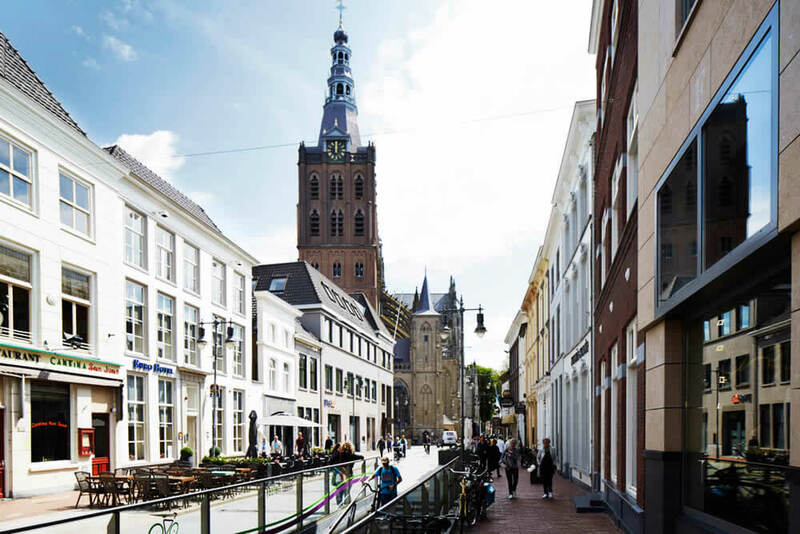 We are most pleased to help you out, planning your free time in Den Bosch, so that you can explore our lovely city at its best! All our rooms are very pleasantly priced every Sunday night. The perfect time to book a romantic suite or to explore Den Bosch. The shops are open every Sunday. 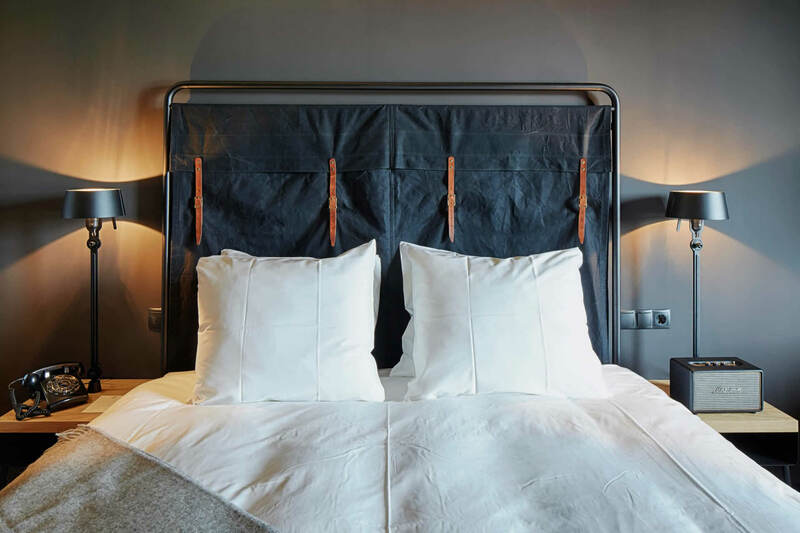 Did you know that when you book directly at our website, you get 10% discount when you book two nights during weekends? 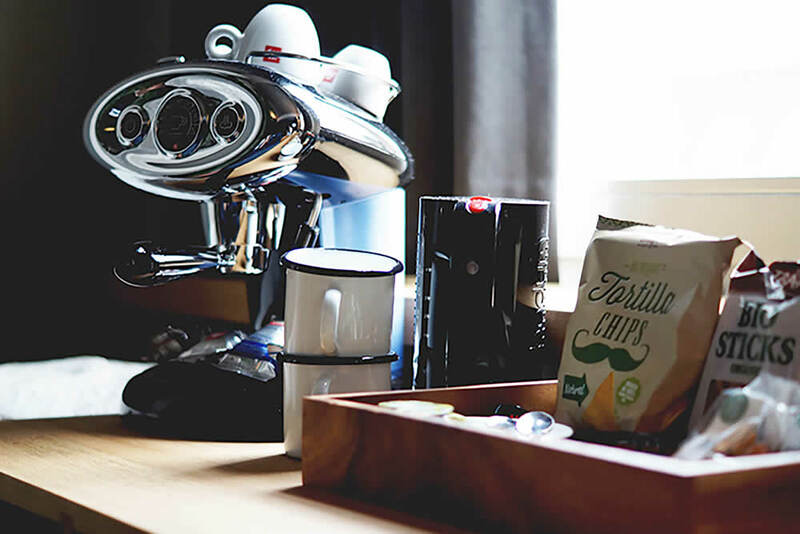 Guests who book directly through our website can enjoy complimentary snacks, fruits, coffee & tea in our living room.